There are no rooms available at Colne Brook Barn for these dates. We really enjoyed our stay,everything was perfect when we arrived,would not hesitate to book again. Colne Brook Barn is a truly cosy place to stay and set in lovely surroundings. I can’t imagine anyone ever being disappointed in staying here. A lot of thought has gone into making visitors comfortable in every way. If you have a pet dog (we don’t) I think they would say the same, if they could talk! on arrival issue with gaining access to property. viz: code given did not operate gate. front door locked telephone call required to gain access. No instruction book for use of central heating On arrival plastics and cardboard re-cycling box overflowing, unable to lift to put out on day required. The Globe Alvington Excellent food and prices, recommended! Thank you for your review. I apologise regarding the gate code and, as advised, had requested the cleaner not to lock the door a couple,of times but my instructions were ignored. I hope you were satisfied with our response when you called. There are a couple of laminated sheets with instructions for operating the heating so I am sorry if you did not see them. I also apologise about the recycling box. The Forest Council refuse to take any recycling if it is mixed and we are not always around to sort it or put it out. We are working on a solution to avoid this problem. I hope the above did not spoil your stay. Lovely comfortable warm cottage, well set up for dogs - the dog biscuits and dog towels were a great touch. Big back garden which my dog loved and the opportunity to use the adjoining field. Having a dog that can get worried it was lovely to have a peaceful place where she settled in very quickly. Definitely coming again!! Thank you for taking the time to leave a review and we look forward to welcoming you again. The barn is very well presented and comfortable, offering a really great base for exploring the area. The gardens and fields added to the relaxation of the holiday and the dog loved it!! Shirley and Mike were great hosts and very friendly and helpful. A great stay and hopefully we will be able to come back and exlpore the area even more. The cottage is well located for the forest and walks. Clean with all facilities, and quiet. Our dog Hollie loved the open fields and the brook we couldn’t walk past it without her venturing in. Great week will book again. We enjoyed our stay very much! However, a bit of washing up liquid, a dish cloth, spare bin liners as well as a few more plates would have been handy. As usual a comfortable place, been about 5 times now. Garden is big but would like it a bit more secure, but not all dogs are pickles. The place we always go is Mallards Pike Lake. It has great walking paths both long and short. After a walk the Dogs loved a swim in the Doggy Dip section of the lake. Theres lots to see around and about if you like to explore. Thank you for your review. We never describe the garden as "secure" as it is very difficult to fence the wild garden where the ground undulates a lot and every hole we fill the rabbits/dogs dig another. I appreciate this may be a problem for smaller determined escapees! I am glad you had a good time again. Great lovely place to stay with everything you need for a fantastic holiday. Dean Forest Railway great for kids and dogs. 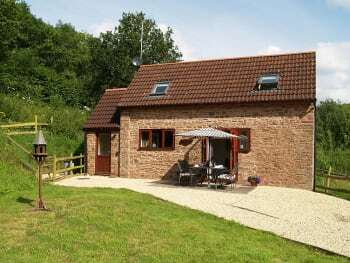 A great location for exploring the Forest of Dean and surrounding area. Sad we could not stay longer due to work commitments! Loved we could see availability, price and book it easily. We always enjoy out time at the barn. Thank you Shirley, Mike, Bailey and Kizzie for making our stay so special. Lydney Harbour, Dean Forest Railway (both within a 10 min drive)Chepstow castle (15 min drive), Tesco's in Lydney is 10 mins away, Lydney has lots of Restaurants with lots of verity, or you can sit by the brook and while the hours away !! Thank you for your lovely review. We look forward to seeing you next time! My reviews get very repetitive; there is nothing about Colne Brook Barn that I can fault. For me it’s A place to escape to and very much like going home. As soon as I walk through the door I feel relaxed. This was my 15th stay and my 16th week is already booked. Mike and Shirley are terrific hosts and afford you accommodation that lacks nothing. Beautiful scenery, a base from which you visit many local attractions or venture a little further if you wish. It’s an ideal location for those that like walking or, like me, do absolutely nothing but relax. I think those of you that read this and see that I’ve visited so many times, will realise, I love it. A lovely freshly painted cottage. Very comfortable and very good value for money. Beautifully situated. Walking a must at Mallard Pike Lake , doggy dip for mucky pups is excellent .Beechenhurst Lodge has good walks and a decent cafe.Keep your dogs on leads for a chance to see Deer and Boar. Convenient shopping in Chepstow and Lydney. Loved it! Great touches like the dog towels and easy to read information on the area. The decor was tasteful and the dogs loved the garden. It is the sort of place I like to keep secret in case i can’t make a reservation because it is already booked! i have stayed at the Barn 14 times now and it has never failed to disappoint. Lovely, lovely cottage! Spotlessly clean and absolutely ideal for dogs - particularly one of mine who barks with excitement when we first get up! Good to know he wasn't able to bother anyone around! We had a fantastic week and were able to recharge our batteries. Just brilliant. We definitely intend to come again. Would highly recommend walks from Mallards Pike. Visits to Chepstow which is lovely and the walk by the boating lakes in Lydney and down the road past the station, then take the track down to Lydney Harbour. It's a nice easy walk and on a nice day (which we were fortunate enough to have) it's a really lovely spot for a picnic. This is our second stay at Colne Brook Barn, and as usual it was a wonderful, relaxing break with our dogs. Barn is spotless clean with great grounds for the dogs, we love this place and will be back again next year, thanks Shirley and Mike. Our 3rd time at the barn, this time for a short weekend. It's a perfect place to wind down and relax. Our children and dog love the brook and large garden. We saw all manner of wildlife from bats to pheasant. And despite the weather not being the greatest the barn offers comfort and feels like a home from home. As always Shirley was welcoming and we look forward to visiting again. Taurus craft centre is well worth a visit. noisy busy main road with poor access on to the main road when leaving the property. the actual barn was lovely and clean. Everything was on site that was needed. Was very dog friendly. Thank you for your review. I am sorry we did not get to meet you, I came over a couple of times but you were out. I hope you enjoyed your stay. We have stayed at the barn many times now, and feel it is a home from home, and look forward to our next stay in January and hopefully many more holidays there. Beautiful little cottage with lovely garden great for dogs. Has everything you could possibly need. Forest of dean lovely, nice playground and go ape for kids. Very disappointed with symonds yat west leisure park, not as advertised on their website. No fairground or adventure playground, Just a big wheel and an arcade on a campsite!! River wye nice to walk by. We're glad you enjoyed your stay and look forward to seeing you again next April. Nice but spoilt with road noise. Smoke alarm above oven very sensitive and kept going off when oven door opened. Deafening! Thank you very much for your review. I am sorry that the road noise spoiled your holiday, the view on this appears to be subjective - most guests do not find it bothersome, but nevertheless we are at pains not to describe the Barn as "peaceful" for this reason - although some guests find it so. The location states next to the A48 in a couple of places on the website as we wish guests to be aware of this before they arrive. Thank you for your comments regarding the alarm. We have now removed this from over the cooker. There were two alarms fitted near to each other in the kitchen ceiling when we purchased the property and we always felt this was overkill, so have decided to remove it altogether as it was very temperamental. Fantastic cottage,very homely and comfortable. Great garden for the Dogs. Shirley and Mike are very nice and welcoming. It really is worth a visit. Great walks and even a Doggy dip section at Mallards Pike Lake. Boar and Deer sightings too.Being a Walker its a paradise and the forest is amazing. Friendly and helpful. Nice welcome pack. The Rising Sun Wollaston Common bar meals good pies. The George Inn Aylburton Sunday Carvery visit Newport for transporter Bridge and Tredegar House. Good day out. Dean Forest Railway from Lydney. Thank you for leaving a review, it is very much appreciated. Second stay for us. Friendly owners, nothing too much trouble. Recommend to all..... Thank you! Been here several times. Always a Warm welcome. Excellent for dogs. Good links to surrounding amenities. 2nd time, talk about a best kept secret, have recommended this place to everybody, only thing nobody can control is the weather !! but hey thats the UK for you !! but i do recommend taking a mug of tea or coffee and go sit down by the Brook, great way to destress !! already planning visit number 3. I found that Shirley was very accommodating with everything. Would highly recommend Colne Brook to anyone looking for a lovely little retreat to the countryside. The Rising Sun was great for a meal out and a few drinks and was reasonably priced. Would also recommend pedalaway bike hire at Cannop for a day out bike riding through the Forest of Dean. I love this place so much that I have already booked my 13th and 14th stays! I think that is recommendation enough. A wonderful cottage in good position for exploring the region. Facilities excellent all equipment necessary for a wonderful relaxing holiday. Shirley very friendly even rang to tell us cottagecwas ready early. Some thoughtful touches such as chocolate cake milk etc. in cottage on our arrival. Chepstow castle well worth a visit also river trip at Cardiff. Thank you for your lovely review and we look forward to welcoming you back! Perfect centralised location for sightseeing. Hosts could not have been any better! Highly recommend to everyone. We will definitely be back in the future. You will not be disappointed with anything and everything you do, how ever far or near you venture. Amazing sights everywhere. Beautiful spot. Accommodation and staff were absolutely lovely. Very clean and cosy. A lovely little home from home. Ate at home every night . Walked and walked everyday. Absolutely wonderful stay. We were a bit restricted to where we could go due to our nervous dog but still had some lovely walks etc. Owner helpful and friendly. Due to eating in a lot only because of our dog (appears to be plenty of nice places to eat in the area ) a few more baking trays/mixing bowl would have been helpful but that is all. Would highly recommend. Thank you very much for your review. We look forward to welcoming you back! The barn was just perfect with excellent facilities. 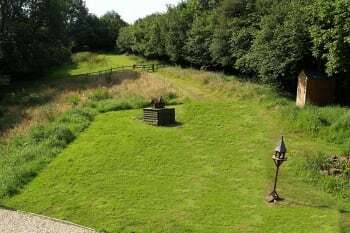 It was wonderful to have access to the grounds which extended to a number of acres. Surrounded by trees it was beautiful. Shirley gave us such a warm welcome. The barn was spotlessly clean and had all the facilities we needed including Sky to for the children, which was an added luxury. Our dog loved to space outside - she was in her element! Chepstow is definitely worth a visit - lots of independent stores/cafes which is a welcome change to the usual high street. Also worth a visit is Chepstow castle, Tintern Abbey and the Forest of Dean. The barn is just wonderful, and has everything you could possibly need. It felt like a home from home. There were plenty of little extras too, such as the welcome tray with a chocolate cake, and everything needed to make a cup of tea when we arrived, plus treats for the dog, which was very thoughtful. 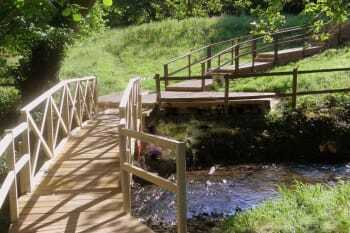 The garden area is very large and peaceful with a picturesque brook and bridge just past the decking. We had regular visits from rabbits and squirrels, plus a wide variety of birds. The garden was ideal for our children and dog to play and enjoy. The owners were very friendly and welcoming, and gave us some suggestions of places to visit, including emailing beforehand with a list of local activities during half term that our children might enjoy, which I really appreciated. 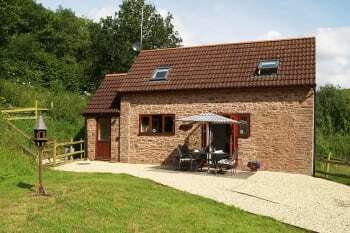 It is conveniently located for exploring the Forest of Dean and the River Wye. We look forward to coming back! Highly recommend The Rising Sun for food. Symonds Yat was a beautiful day out, as was Mallards Pike. It was like returning to see old friends as Shirley and Mike were so welcoming and would do anything to make our holiday happy and problem free. The welcome tray and shower pack were lovely touches. The barn was very cosy and the grounds fabulous to spend time in and to do some bird watching. We had very nice meals in The Globe in Alvington and The Cross and The George in Aylburton. We also really enjoyed a meal in the Red Lion in Westbury-on-Severn after a lovely visit to the National Trust's Westbury Court Gardens. The cliff walk at Lydney Harbour was spectacular with masses of bluebells. wood anemones and cuckoo flowers. 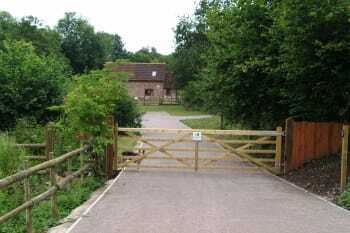 Also the RSPB Nagshead Nature Reserve has great walks to enjoy even if you don't wish to watch the birds. Many thanks for your lovely review and we look forward to welcoming you back again. The barn is home from home its got every thing you need,for nights in large tv and sky all channels.The décor inside the barn is great and on warm days its a to sit outside over looking the brook. It was lovely to see you all again. Thank you for your lovely review. We found the Blacksmiths Arms just a few hundred yards up the road to be most welcoming and the food was excellent. Proper old fashioned village pub. 20 minutes away is Tintern Abbey. Very atmospheric ruin with an Inn just across the road. Worth visiting. Plus all the woodland attractions of the forest only minutes away. Thank you for your lovely review Chris. Home from home, fantastic hidden little gem. Very comfortable , fantastic facilities, the only down side is the traffic noise in the morning but you soon ignore it !!! Great place to explore, sitting by and watching the stream was a great experiance . Have already sent pictures and videos of the barn to family and friends and they seem really interested . Thank you very much, we are glad you enjoyed it! This was my tenth stay at the barn and I will be going back in just three weeks for a full week. To say I love it there is probably quite obvious, my twelfth stay is also booked for November. The barn affords you everything you could possibly want it's cosy, well equipped and set in beautiful surroundings. 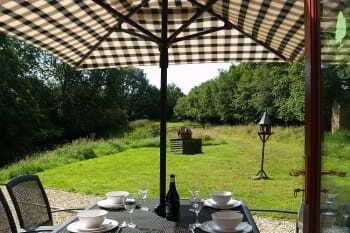 It's perfect for those like me who just want to relax with a good book and is also a great base for those who want to visit surrounding areas of Gloucester, Chepstow, Bristol and of course the beautiful Forest too. Mike and Shirley are excellent hosts who make your stay enjoyable from the moment you arrive. Milk, tea, coffee and sweet treats available on arrival; just what's needed after your journey! You'll also find a few other treats around for you too. I have already recommended this property to a number of friends and family. It was simply perfect. I look forward to coming again when the weather is nicer and bringing my dogs. Such a beautiful place. Almost magical! 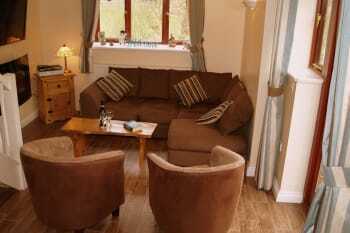 This was my 9th stay at Colne Brook Barn, with my 10th, 11th and12th weeks booked I think that tells you I like it! I feel like I am being greeted by an old friend as soon as I walk through the door. 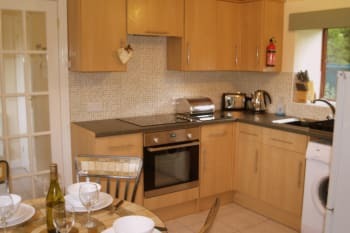 You'll want for nothing during your stay as the accommodation affords you everything you'll need - cosy welcoming and spotless! You are surrounded by gorgeous scenery and will see some beautiful wildlife without having to venture outside the door. Shirley and Mike as hosts are second to none. You will get a 5* accommodation without a 5* price tag. "Just Beautiful"
a short journey along the M48 will lead you to junction 23A of the M4 if you take this and follow signs for Caldicot you will eventually find a sign for Dewstow hidden Gardens. Although only open March till October if you are staying at the barn during those times it is well worth a visit. If you don't want to venture far then you will find many beautiful places to walk without getting in your car, or a short trip to Offas Dyke will leave you breathless.